Oxfam has an ongoing letter campaign in support of indigenous communities that border near the Prestea Mine in Southwest Ghana. The US-based company Golden Star Resources recently announced a plan to expand the mine. The plan jeopardizes the communities, and explicitly denies their right to free, prior, and informed consent. 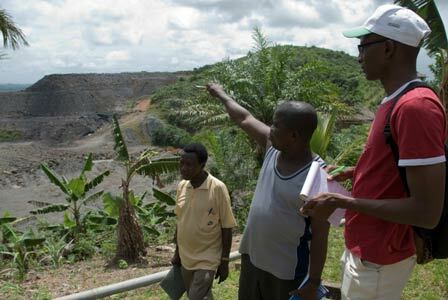 There are also several injustices surrounding the mine which have yet to be adequately addressed, including two cyanide spills in 2004 and 2006, and a violent confrontation in 2005 between community members and security personnel guarding the mine. The guards shot seven people. I am writing to express my deep concern for the communities of Prestea, Himan, and Dumase that neighbor the Bogoso/Prestea Mine in the Wassa West district of Ghana. Since 2001, these communities have endured threats to their lives and livelihoods related to the Bogoso/Prestea Mine. I urge you to fulfill their request for a comprehensive evaluation of the impact of the first phase of the Bogoso/Prestea Project and for the right of free, prior, and informed consent regarding the planned Prestea South Project. As you are aware, the relationship between Golden Star Resources and the communities of Prestea, Himan, and Dumase has been strained. Despite cyanide spills that contaminated local rivers and streams in 2004 and 2006, Golden Star Resources has yet to commission the independent health investigation requested by members of these communities. On June 13, 2005, seven people were shot by security personnel guarding one of the North Plant Mine’s pits during a demonstration in Prestea. Still, no independent investigation of this incident has taken place. The time to address the concerns of the communities of Prestea, Himan, and Dumase has come. I hope you will use your recent appointment as president and CEO of Golden Star Resources as an occasion to change the nature of your company’s relationship with your neighbors. Fulfilling the communities’ request for a comprehensive evaluation of the impact of the first phase of the Bogoso/Prestea Project and for the right of free, prior, and informed consent regarding the planned Prestea South Project would be a significant indication of your company’s desire to begin a new phase in your relationship with the surrounding communities. There’s also an ongoing petition you can sign, which has so far collected 6,596 signatures. A video from 2006 that discusses the dams, their impact, and the efforts to stop it.